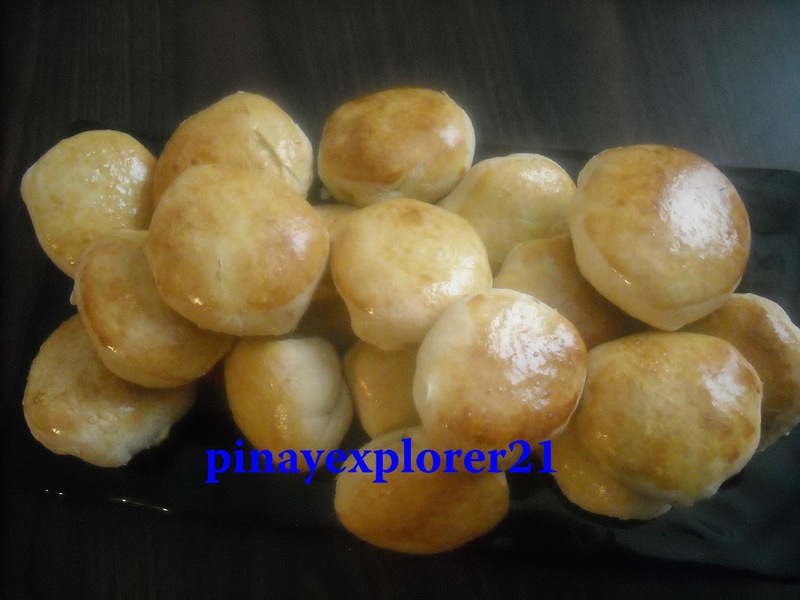 I love Filipino bread, and Pan de Coco is one of them; It's very popular in the Philippines and as Filipino's it's one bread that you crave sometimes. Leaving the country doesn't mean that you left all those good stuff that you used to eat. So, in my personal experience, I become so resourceful and tried many recipes. Eventually, I finally got it right. This is what we call... when craving strike!! 2) Heat and stir the milk,sugar, butter and salt just until warm and butter almost melts. 3) Add to the dry ingredient, along with the eggs, mix it well. 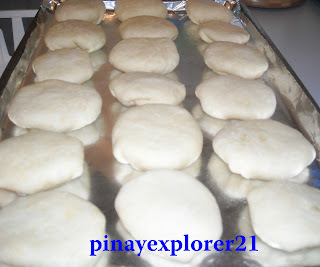 4) Knead the dough in clean surface. Put it bowl and let it rise for 1-2 hours. For best result- mix the coconut and sugar overnight. 1.) Slice the dough into small ball. Then using the rolling pin roll the dough as thin as you can. 2.) 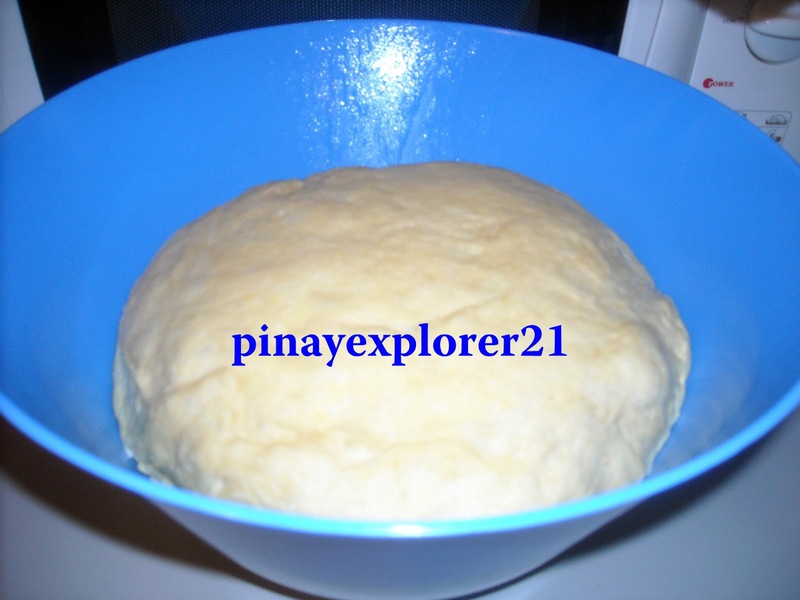 Put the filling on the center and sealed the dough. 3.) Put the dough into greased baking dish and let it rise for 1 more hour. Just like on the picture. 4.) Brush egg wash on the top before baking. 325 degrees 10-12 minutes; until they're golden brown. 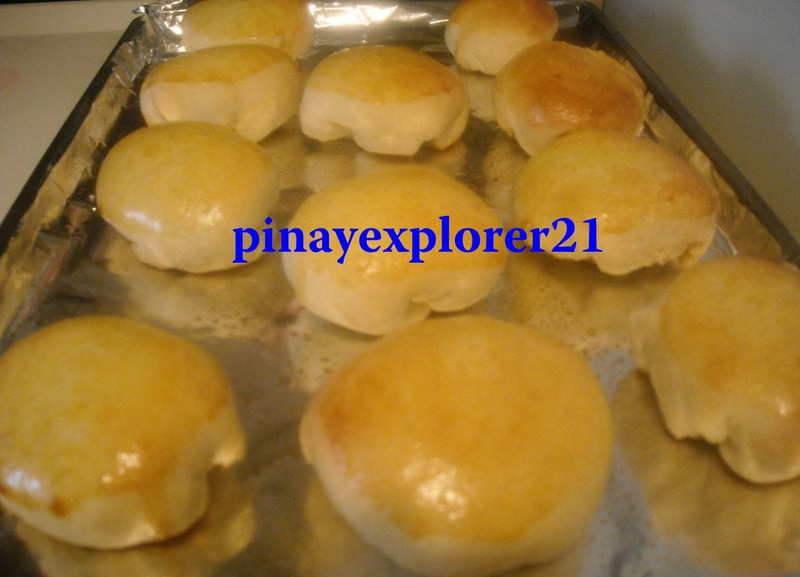 Pan de Coco fresh from the oven. You can't help yourself but to grab this munchies even when it HOT!, pretty sure it's more delicious with hot chocolate in the morning watching your favorite show. This is very fulfilling, my friends liked it and so do I.The most FUN part is when you're having fun while doing it. It's good when you just eat, talk, laugh and eat some more!! To my friends who helped make this bread, Thank you!